Are tenants from Sharjah, other emirates shifting back to Dubai? With rents on decline, are the thousands of expats living far from work planning to move back? 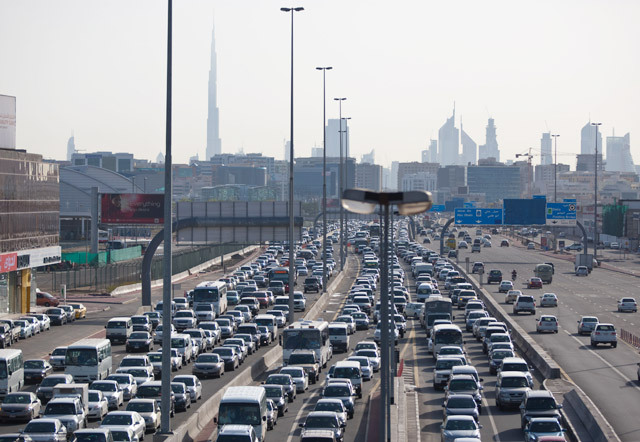 Dubai: Every morning, Linda slogs through a one-hour commute from her apartment in Sharjah to her office in Dubai. She doesn’t mind spending a total of about two hours a day — 10 hours a week — on the road. The cheap rent she pays for a spacious room in the neighbouring emirate is more than enough to compensate for the hassle of daily long journeys. Over the years, the limited availability of affordable housing in Dubai has forced a lot of average-income earners like Linda to live outside the emirate. For them, it just doesn’t make sense to spend nearly all of their monthly salary just to be able to live near their office and have a decent roof over their heads. Between 2005 and 2009, the percentage of Dubai employees opting to live miles away from work just to save on accommodation costs went up from 13 per cent to 37 per cent. At one point, their numbers reached 1.1 million. However, property analysts claimed that things are changing, saying that long commuters like Linda are now on a decline — thanks to the slowdown in residential rents. According to Craig Plumb, head of research for Middle East and North Africa at JLL, as more affordable options open up in Dubai, more households who used to live far from their offices have had a change of heart. “As rents in Dubai have trended downwards over the past six months, the number of families shifting to the northern emirates has naturally declined,” Plumb told Gulf News. Rents in Dubai have been on a downtrend as demand for property softened following the decline in oil prices, coupled with the rise in the US dollar. “The first half of 2016 has left tenants [in Dubai] with something to celebrate. With rents adjusting downwards compared to the same period last year, many housing options across Dubai have become much more affordable,” according to real estate portal Bayut.com. The return of transient residents to Dubai started even before rental declines kicked off, partly triggered by the delivery of residential units in budget-friendly developments like Discovery Gardens, Sports City, Dubai Silicon Oasis. Between 2009 and 2015, the number of workers living outside declined by 16 per cent, according to real estate information service provider REIDIN. "A time series analysis of workers of Dubai who reside outside increased by 185 per cent from 2005 to 2009, coinciding with the tripling of rental rates alongside the limited affordable housing options in the freehold space. However, after the world Financial Crisis, rental rates plunged, causing the transient population to move back to Dubai," said REIDIN. This is not to say that rents in Dubai are now cheaper than everywhere else. In fact, data compiled by Asteco showed that the northern emirates still offer much more affordable options. As of the third quarter of 2015, studio apartments in Sharjah, Umm Al Quwain and Fujairah were more than 50 per cent cheaper than the similar units in Dubai. During that period, studios averaged Dh51,000 a year, while those in the rest of the emirates, prices ranged from Dh19,000 to Dh28,000 annually. For one-bedroom apartments, Sharjah was nearly 50 per cent cheaper, while those in Umm Al Quwain, rents were three times lesser than the average prices in Dubai. One-bedroom flats in Dubai cost Dh69,000, while those in Sharjah, prices averaged Dh35,000. In RAs Al Khaimah, the same flat cost Dh39,000 to rent, while those in Umm Al Quwain and Fujairah, prices averaged Dh23,000 and Dh42,000, respectively. Mohammed Mosallam, propertyfinder.ae northern emirates specialist, also noted that there is still a growing trend of people looking for cheaper options outside Dubai. “From our stats, we can see that searches for properties in Sharjah have increased year on year by 255 per cent and 145 per cent in Ras Al Khaimah. Enquiries sent to agents have increased by 176 per cent in Sharjah and 83 per cent in Ras Al Khaimah,” Mosallam told Gulf News. Besides, most of the affordable housing units in Dubai aren't too conducive to huge families. A closer look at the available freehold space in the emirate shows that 64 per cent of the current supply are being leased for more than Dh70,000 a year. "Only 36 per cent is below the Dh70,000 annual rental mark. Within that segment, the majority is skewed towards studios and one-bedrooms, making it not family friendly," said REIDIN. "Developers will have to shift course, by offering larger dwellings at reasonable rates in order to attract families." Meanwhile, rental apartments in Dubai continued to offer owners an average yield of 6 per cent during the first half of the year. In Abu Dhabi, average yields stood at 7 per cent, according to Bayut.com. Apartment rents in Dubai averaged Dh131,000 in January and June this year, registering a 6 per cent decline. In Abu Dhabi rents were down by 3 per cent, with average apartment rents hovering around Dh135,000 a year. Studio units cost about Dh57,000 a year, while one-bed and two-bed flats were estimated to command annual rents of Dh99,000 and Dh150,000, respectively, posting a 4 per cent and 6 per cent decline. For bigger housing options, three-bed and four-bed apartments dropped by six per cent each. Average annual rent for the two apartment types stood at Dh205,000 and Dh310,000 a year.